June 21-23: Castle Lake Campground; 83 Comeaus Hill Rd, Arcadia, NS. 902-749-1939 / 902-740-1157. July 15-17: Loch Lomond RV Park; 1 Loch Lomond Lane, Amherst NS. 1-877-809-1137 / 902-667-3890. July 18-21: Atlantic Good Sam Rally, theme is Hawaiian. August 23-25: Land Of Evangeline Campground; 84 Evangeline Beach Rd, Grand Pré, NS. 902-542-5309. 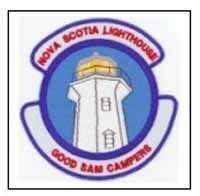 October 18-20: Little Lake Family Campground; 11677 Nova Scotia Trunk 3, Lunenburg NS. 902-634-4308. Spring Lunch – Saturday May 4th 2019, at the Applewoods,5494 Prospect Rd, New Minas. Exit 12 off the 101. Meeting will start at 11:00, with lunch to follow at 12:00.